Hi. 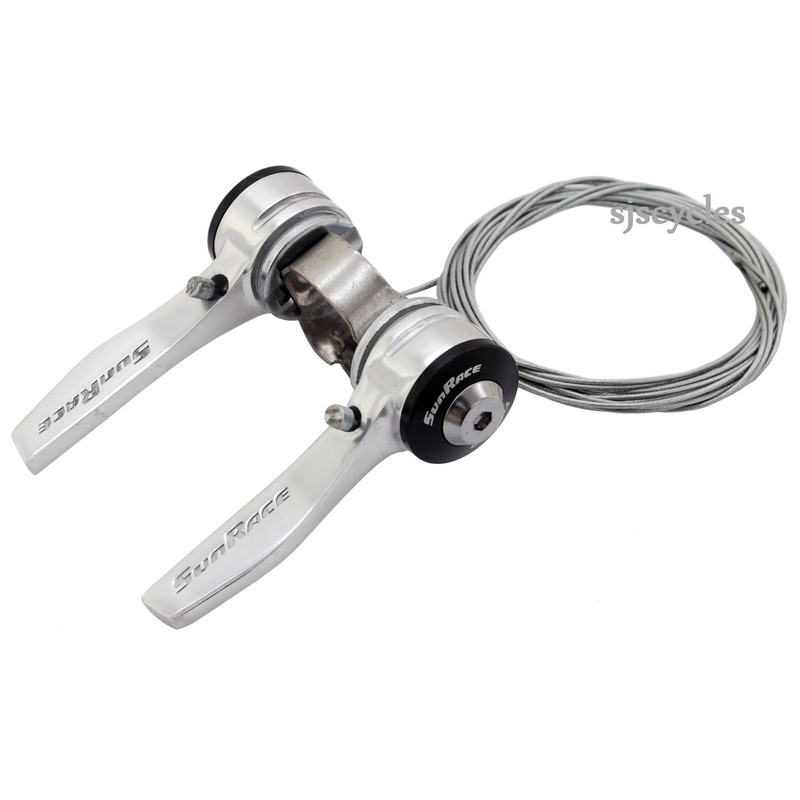 What rear derailleur would you recommend to match these with? If they use a 2:1 actuation ratio, does that cover most brands, or just Shimano? We would recommend these are suitable for Shimano 8 speed. Would this work with a Thorn childback tandem frame? As long as you select a tube that is 28.6mm you could fit these to a Thorn tandem, or pretty much anything! These are indexed only so cannot be converted to friction unfortunately. In theory you should be able to remove these from the clamp and fit them directly to shifter bosses on the down tube if you wanted to. Would these (or one of these) work with the 8 speed Alfine hub gears? I'm afraid not, 8spd derailleur gears use a very different cable pull to 8spd Shimano hub gears. We do not have any down-tube shifters suitable for use with an Alfine hub I'm afraid.